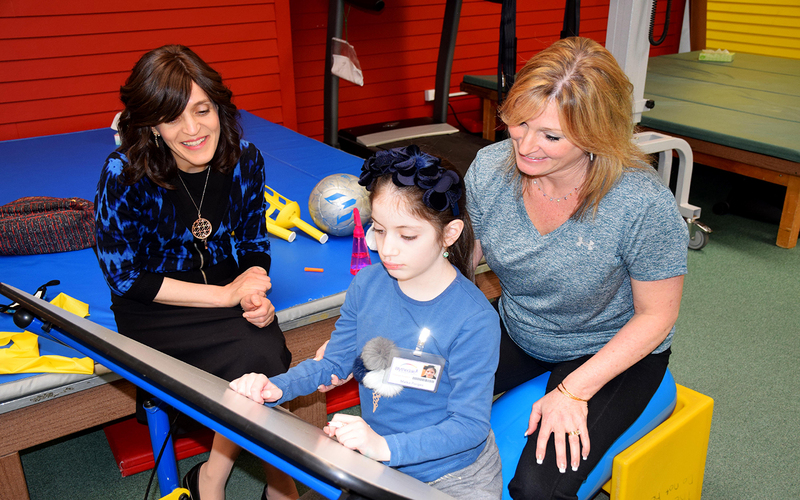 Heart transplant patient, Malka (center), progresses in her rehabilitation with her occupational therapist, Lisa (right), while her mother (left) proudly looks on. Dr. Mary Didie, Unit Chief of the Day Hospital Program at Blythedale Children’s Hospital, proudly uttered those words upon the return of nine-year-old Malka in March 2018, less than three-weeks after receiving a lifesaving heart transplant. “I think it speaks volumes for our abilities, both medically and therapeutically, that she’s now back, incredibly healed,” she said. It was back in October 2017 when the Brooklyn girl was initially admitted to Blythedale. She was the Hospital’s first LVAD (Left Ventricular Assist Device) patient following a diagnosis of cardiomyopathy. Subsequent medical complications, including heart failure, stroke and hemiplegia, significantly impacted her already failing health. Malka received intensive rehabilitation with Blythedale’s multidisciplinary team for nearly five months, preparing her for the moment when she would receive the call and get a new heart. Then that momentous day arrived. “The surgery was a success and her recovery was fast and quick,” said Shlomo, Malka’s father. Malka’s transplant team team at NewYork-Presbyterian Morgan Stanley Children's Hospital recommended she resume participation in Blythedale’s Day Hospital Program sooner than most post-organ transplant patients, but with some additional precautions. Malka wears a mask, spends lunchtime in a private room and joins a smaller third-grade class at the Hospital’s onsite Mt. Pleasant-Blythedale School - all due to her medically suppressed immune system. She is one of more than 130 current Day Hospital patients who successfully live at home, but still require a level of medical and rehabilitative care that cannot be met adequately by their school or community outpatient program. Malka also picked up where she left off with her physical, occupational and speech therapists –continuing her hard work toward recovery. Most recently she’s made noticeable improvements in her voice, word retrieval and language comprehension – all with a smile on her face and steadfast perseverance. 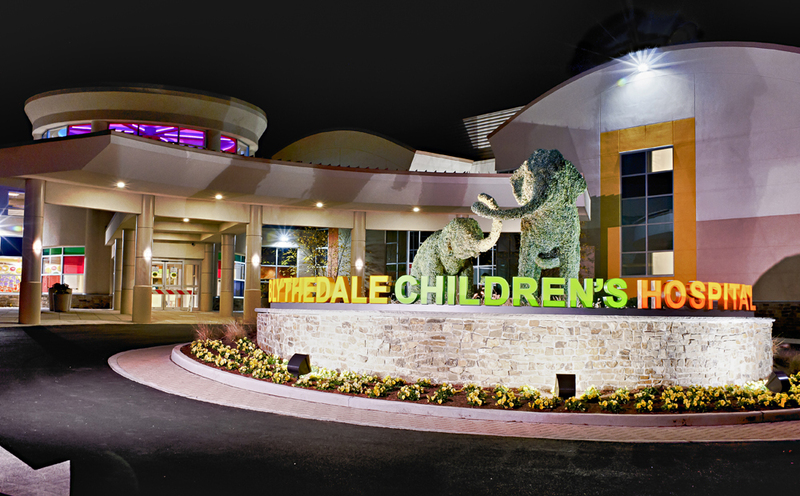 Blythedale has been a beacon of hope for Malka and her family, twice now, laying their hopes and dreams in the Hospital’s hands.